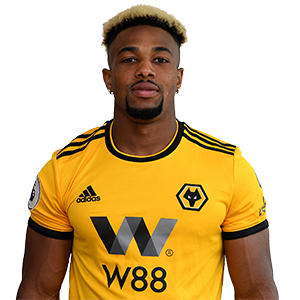 Adama Traore joined Wolves for an undisclosed fee from Middlesbrough, agreeing a five-year deal at Molineux. Traore joined after an impressive season at the Riverside Stadium, where he was voted the club’s Player of the Year as Boro reached the Sky Bet Championship Play-Offs. Internationally, the winger has represented Spain at four different age groups, including the under-21s earlier in 2018. In a Wolves shirt, he introduced himself to his new supporters with a last minute winner at West Ham United in September 2018.